Oh, goodness. Do I have a treat for you today! I’m always thrilled when I get to work with the super talented Sarah from The Created Home and today is no exception. 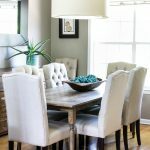 I’ve been sitting on these DIY wood beam round dining table plans for months – thank goodness Sarah came to the rescue! She took my plans and brought them to life and we’re so excited to be sharing the plans and tutorial with you today! Isn’t it absolutely gorgeous?! 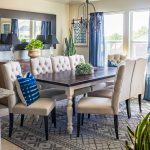 Sarah used salvaged wood beams to build her table and they are magnificent. They really are show-stoppers, aren’t they? 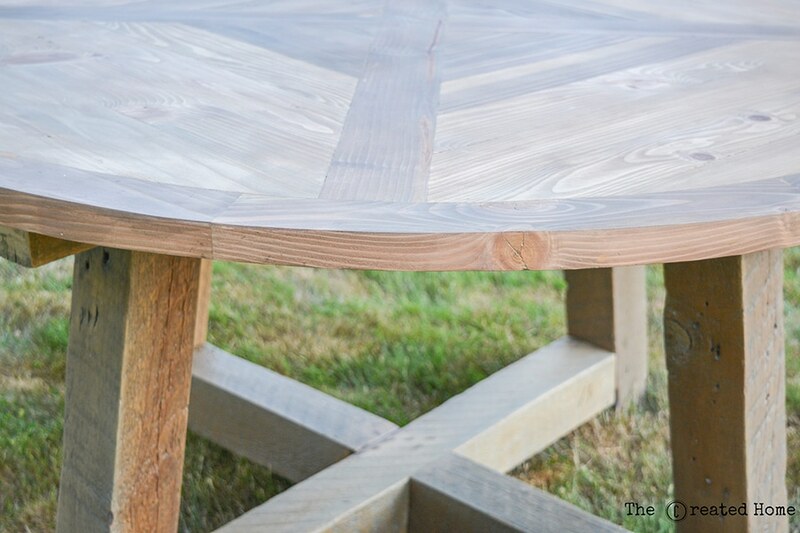 She made a few modifications to the table – she added the curved perimeter, for example – which is no easy task. I didn’t include this in the plans because I wanted to keep them as simple and straight-forward as possible. However, Sarah goes into great detail in her tutorial, so be sure to check that out if you want to include this feature into your table. 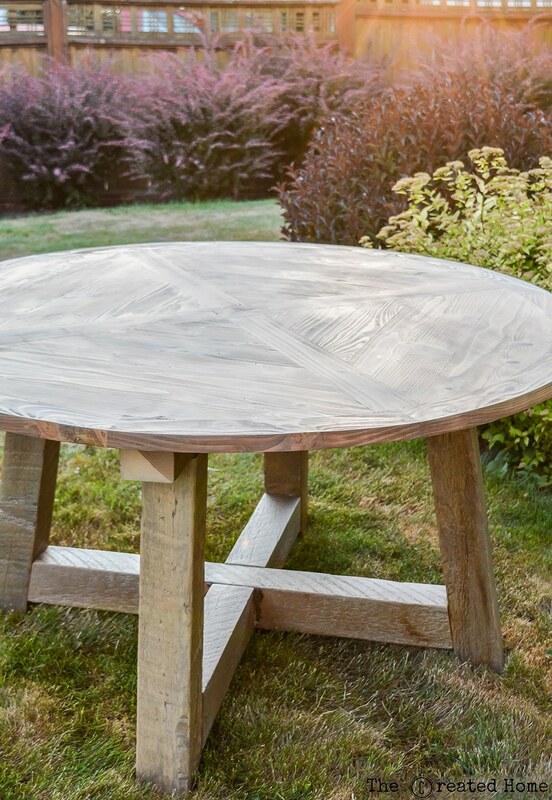 I’ve also drawn up two different sizes for this wood beam round dining table: a 48-inch and a 60-inch so you can take your pick! Click the links below and get the plans sent straight to your inbox. Huge thanks to Sarah for bringing my plans to life. 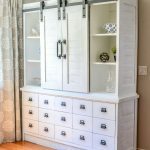 Be sure to visit The Created Home – it’s chock-full of helpful building tips and step-by-step photos. Thanks for reading, friends. If you build this table for yourself, we’d love to see it! 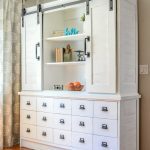 Tag us on social media (@jenwoodhouse and @thecreatedhome) or email me your pictures! Until then, get out there and make some sawdust! I’m trying to click on the links to the table plans, but keeps cycling me back to this page without plans. Is there something else I should be doing? Thanks! Are your popups blocked by chance? Once you click on the link, a pop up should show up where you can enter your email address so that the plans will be sent to your inbox. Hope that helps! 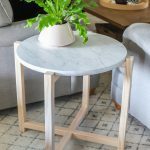 Love the finished product of this table. The curved perimeter is a beautiful, and (as you said) is no easy task. That definitely adds an extra level of refinement and elegance to this design. Hi. I am trying to get the 60″ table plans, without luck. I am able to download the 48″ plans. I’m having the same issue. I’ve tried internet explorer and google chrome but can’t get the 60″ plans to open. Sorry friends! I’ve corrected the link – you should be able to access both the 48- and 60-inch plans now. Thanks for your patience! I was having the same issues about downloading the 60″ plans, but on a fluke I decided to click on the 48″ link. I checked my e-mail and downloaded the 48″ plans using my browser. I changed the 48 to 60 on the url page where the 48″ plans were. Lo and behold, I got the 60″ plans. Give it a try, it might just work for you. Can’t wait to build this table! Thanks for the plans. Is there somewhere we can get instructions for the edge. 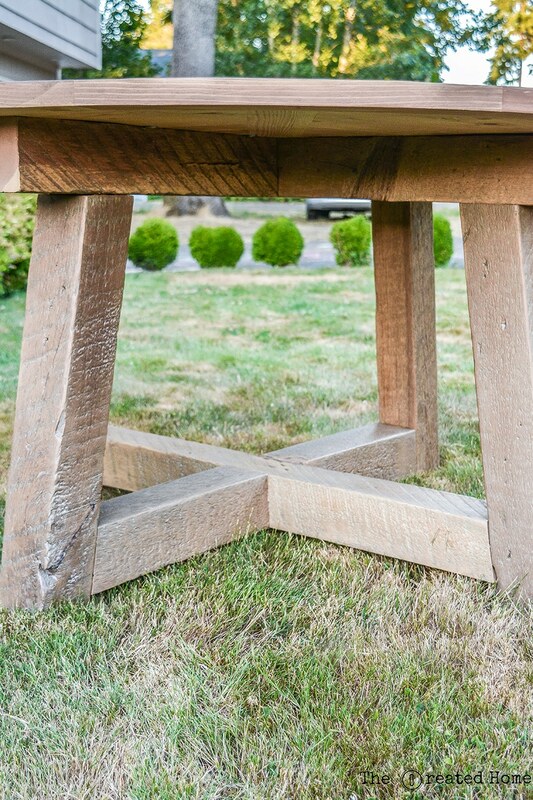 We’re adapting your plans to make a 72″ table of 2 x 6 redwood. Yes, Sarah from The Created Home went into great detail about how she achieved the round edge. Her site is linked in the post. Hope that helps! I’ requested tne plans weeks ago, I get all other emails except the plans. I even tried to request a second time to see if perhaps I did something wrong that’s was over a week ago and still I have not received them. 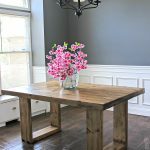 It would be nice to receive the plans I’d like to recreate this table. Thanks for subscribing, Jeawnel! I’m showing that the table plans were sent on Sept 18 at 12:09am. I just resent them – hopefully they get to you this time! Please let me know if you still don’t get them. Thanks again! Thank you so much. I received the one you sent on the 6th but you sent the 60 inch plans. I need the 48 inch plan if it’s not too much trouble. Thanks for your timely response. I love your work. Shoot. I sent the 48-inch table plans on 10/6… not sure why the email isn’t getting to you, since you’ve received the other one…? 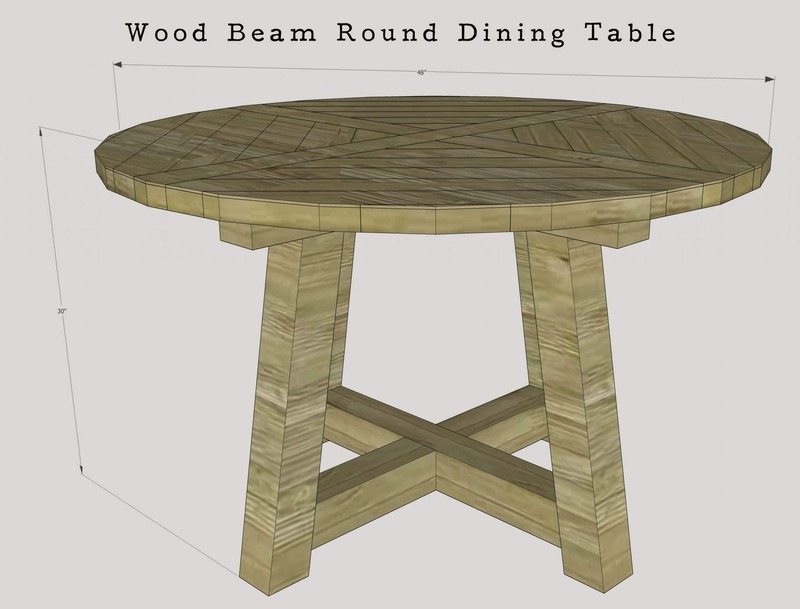 Try this link: https://jenwoodhouse.com/plans/48-Inch-Wood-Beam-Round-Dining-Table.pdf Sorry for the trouble! 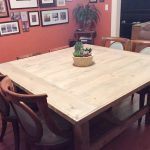 I love your 60″ round table, but was wondering if you could give me a materials list for a 72″ version? My parents have a tempered glass table on their deck that has outlived it’s usefulness, not to mention has been broken time and time again, and I wanted to give them something nice this spring. I’d imagine the only differences would be a few longer boards towards the outside, as I’m sure the base would support the additional width of the table, but I leave that determination to the expert. Any help you can provide would be greatly appreciated!